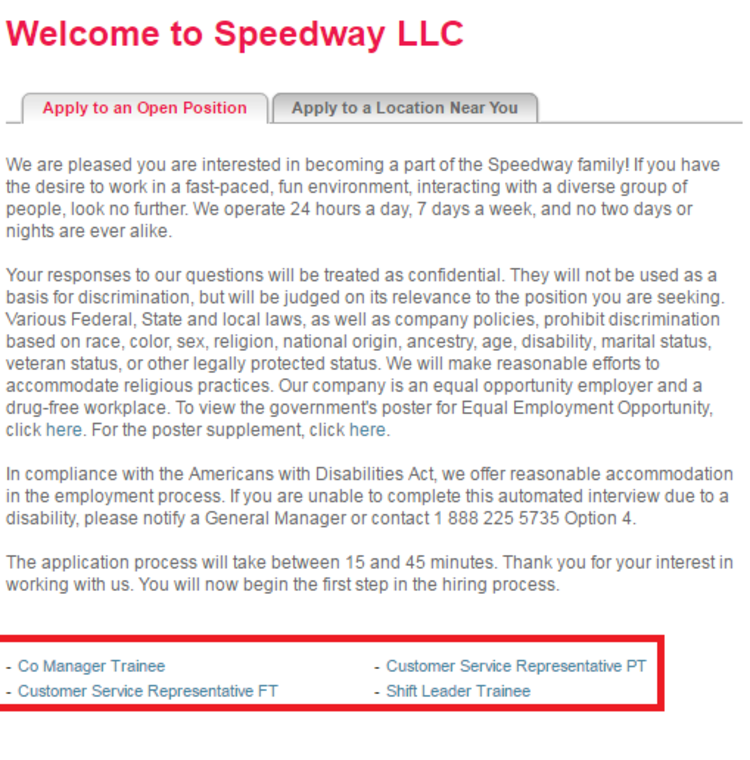 Go to visit www.speedway.com/careers, and you will find two methods to make an online application. 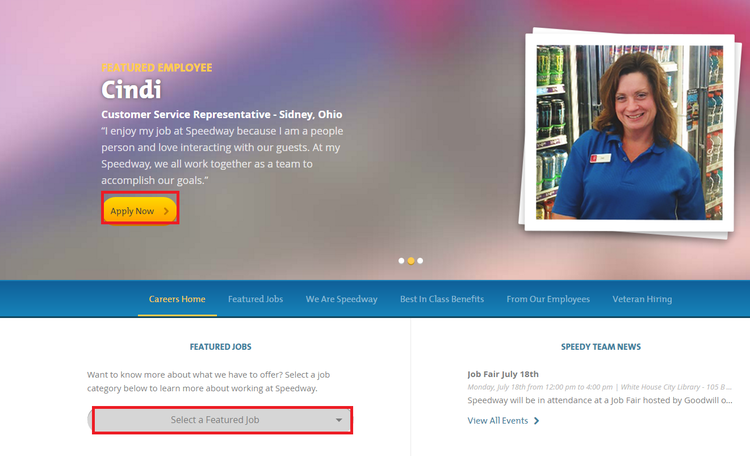 Firstly, you can click the "Apply Now" button directly to search job openings of Speedway. 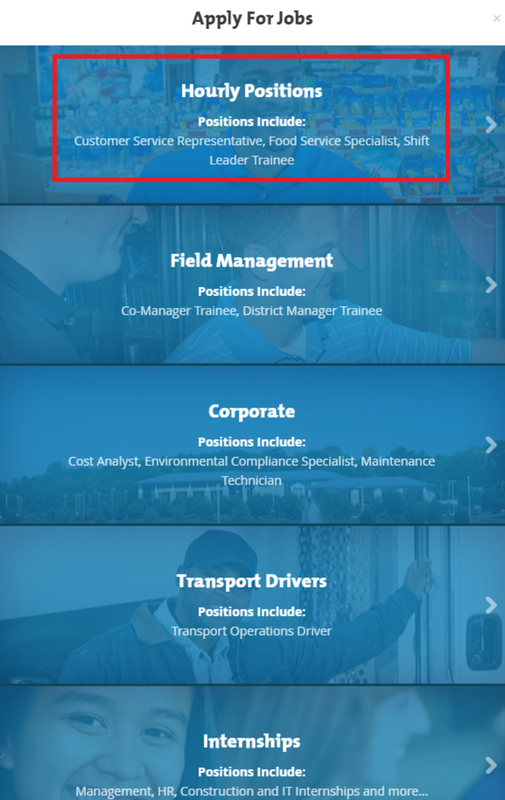 Secondly, you can select a featured job by clicking the button accordingly. You can access to the online application with either method. Here the first one will be taken as an example to tell you how to apply for a position on Speedway. 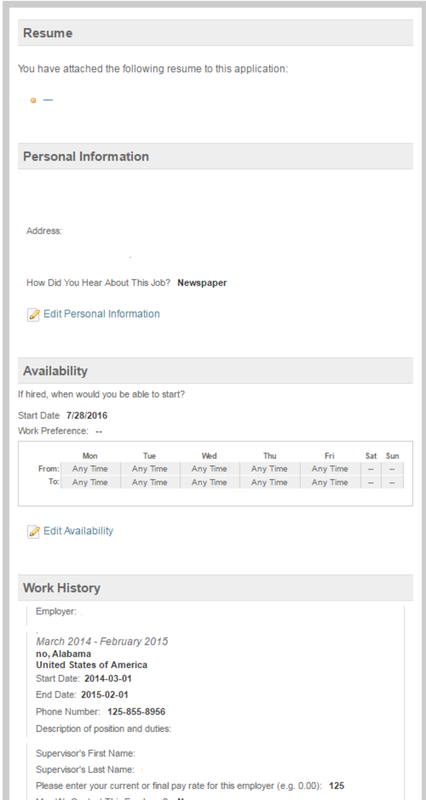 In this step, you will reach a job openings page where you can see different positions under five areas. 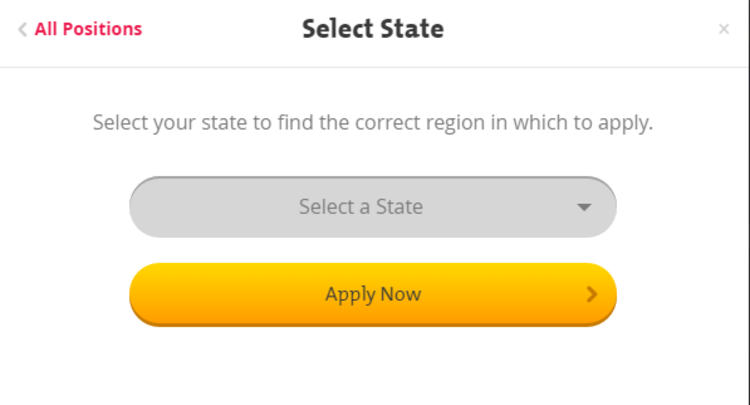 You are required to choose a state on the basis of your own situations from the list and then click the "Apply Now" button to continue. What you need to do is to choose a position that suits you. There are two ways available for you. 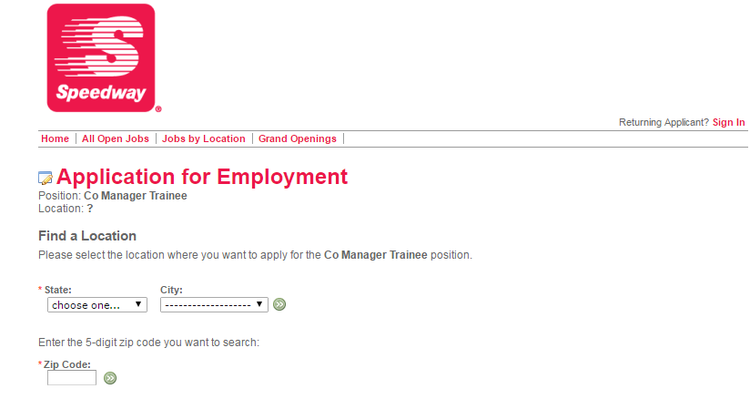 You can choose to apply for an open position or a location near you by clicking the button accordingly. This article will choose the former method to go forward. You will be rendered the job description page after you've chosen the position. Then you are required to select a location that you want to work at. 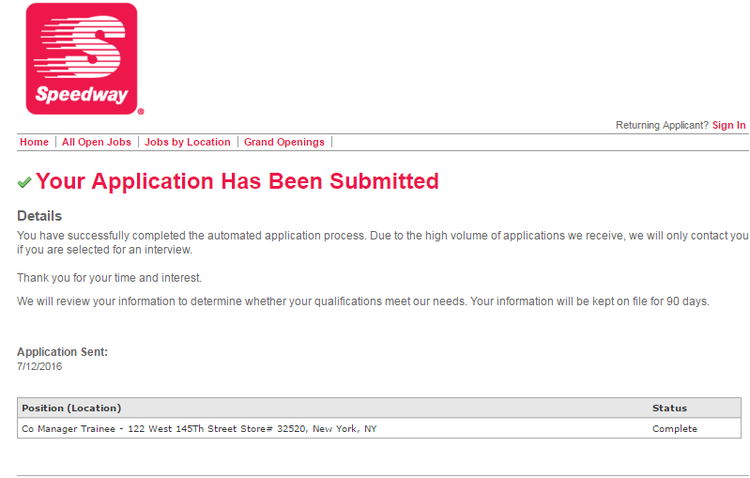 This is the most important step for the online application process. You need to provide the required information or answer some questions which make your application form intact and detailed. Here you have to know clearly the terms and conditions of your online application, upload your resume, provide personal information and application information references, and answer the pre-employment and EEO questions. And what else you need to know is that the pre-employment questions include your work experience, age,education, work preference, identity and availability. Make sure that your information offered is valid and correct to make the employer know about you clearly. You need to check the resume carefully and click the "Submit" button at the bottom of this page to finish your online application. This step is very necessary to make sure all the information you've provided is correct. The information in the photo below, for reference use, is not real. With the steps above finished, your online application for a position at Speedway is totally completed. Then just keep a peaceful mind and wait patiently the reply from Speedway. Click speedway.com/careers to apply for Speedway jobs online.